The Future of Digital Writing is Here. 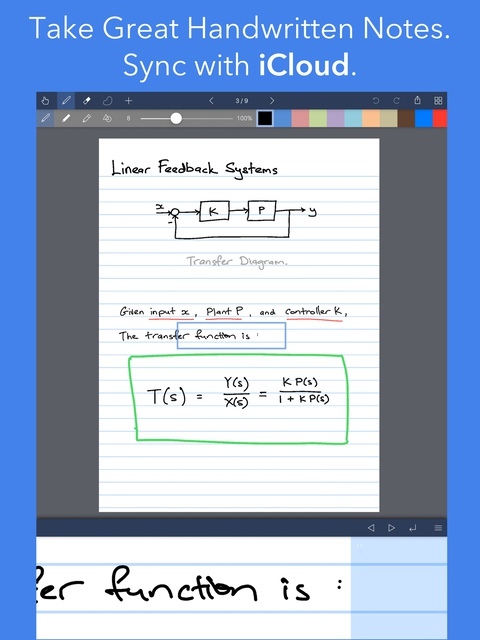 Noteflow is is designed to replace pen and paper. 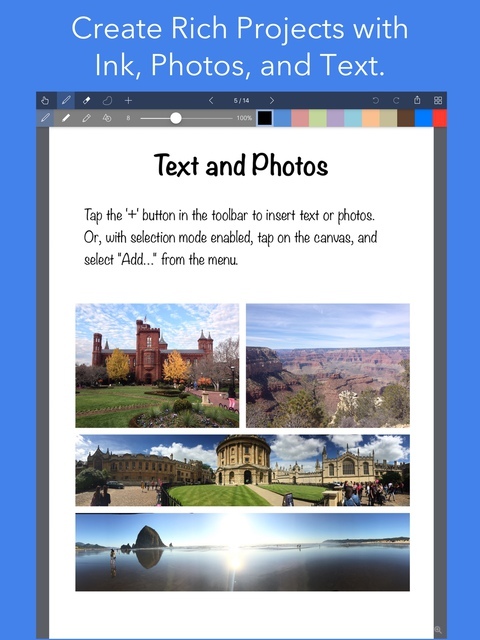 It is a modern digital notebook that lets you get the most from iOS. Copy and Paste from the Real World. Drag-and-Drop, Cloud Sync, and more. We're confident Noteflow will revolutionize the way you work. Rather than just read more, use it for yourself. We've made the Standard Edition of Noteflow completely free. Download it now. Check out the Noteflow User's Guide for a detailed walkthrough of all features. Space for Your Ideas to Roam. 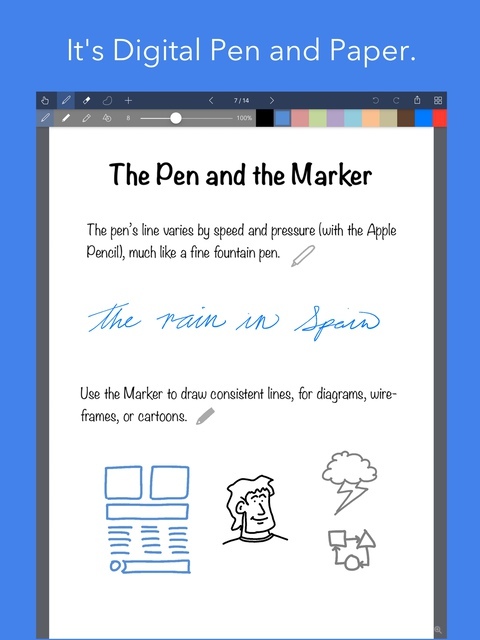 Our vision for Noteflow is simple: to be digital pen and paper. The magic of pen and paper is in their versatility. They are useful for so many things, but particularly for the freeform capture of ideas. 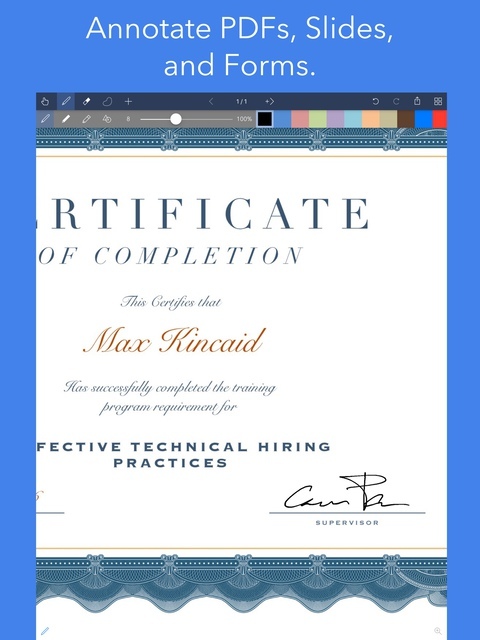 Noteflow expands upon this quality. 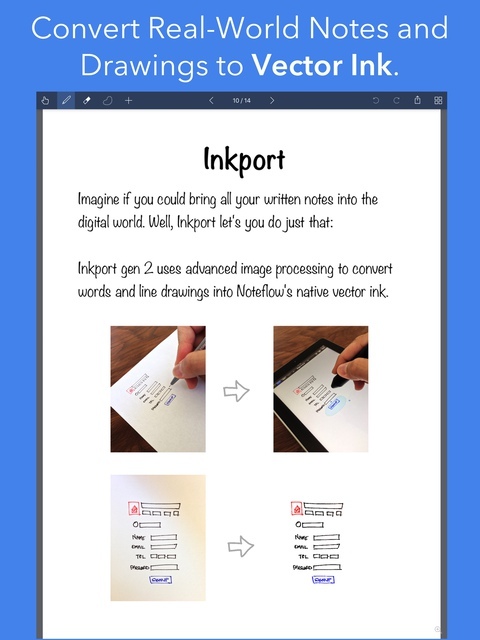 One of Noteflow’s best uses is for "thinking on digital paper". Quickly capture key ideas and concepts, then move and organize them on the screen. Noteflow's vector ink engine lets you scale and edit your work without any loss of quality. Your words and drawings remain tack sharp when zoomed in, giving you a huge effective working canvas even on a single page. There are analogues in the physical world, such as sketchnotes or everyday working on a white board, but being able to fluidly edit and move your ideas around the page is something you can only do digitally. When you represent the ideas in your head with your own personal scribbles on the screen, it effectively becomes an extension of your mind - giving you more room to think. We've designed every part of Noteflow to let you intuitively capture and work on your ideas the way you like. Whether it's dropping in existing information, quickly sketching concepts, or assembling polished presentations for others. By resizing ink and zooming in, you have a huge effective canvas to work with, even on a single page. As your ideas shape up, Noteflow has all the tools you need to tidy them up and format them to share with others. Click here to share Noteflow with your friends on Twitter!